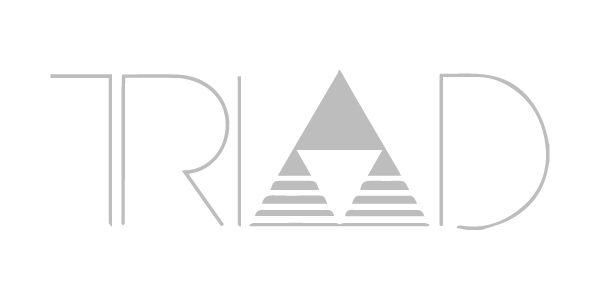 Stereo & Video Integrators, Inc. (SVI) is very proud to be an authorized distributor for Triad, which has been making high-end custom speakers since 1982. The extraordinary sound of these speakers impresses even the most demanding audiophiles. If you love music, you owe it to yourself to consider Triad. Triad speakers are made in the U.S.A and are all built to order. If you buy Triad speakers, they will be made fresh for you, not pulled off of a shelf in a warehouse. Triad speakers will not only enchant you with their sound, but they will also preserve the beauty and serenity of your home because they don’t add unnecessary visual clutter to your rooms. The speakers are designed to blend unobtrusively into your home environment. Options include “invisible” speakers that are mounted flush inside the ceiling or inside walls, where they blend so well into the background that you won’t even notice they are there. Other options include speakers mounted on walls or within rooms. Triad can create custom finishes that perfectly match your paint or the wood in your cabinet or floor. This is home audio at its finest, delighting both the ear and the eye. Triad speakers are made of high-quality components that are often used in speakers that are much more expensive. The company has been in business since 1982 and has always been dedicated to exceeding its customers expectations by providing the most accurate sound, the finest appearance, and the best value in the industry. At SVI, we create and install whole-house audio systems that enhance the daily lives of people who love and appreciate music. We create custom A/V systems, and Triad’s custom-built speakers are a natural and fitting choice. We are located in Fair Haven, NJ, and we service Monmouth County, Ocean County, all of New Jersey, and part of New York. Please call us if you would like to find out more about how we can create a system for you that incorporates the accurate high-fidelity sound and quality construction of Triad speakers, while preserving the visual elegance of your home.